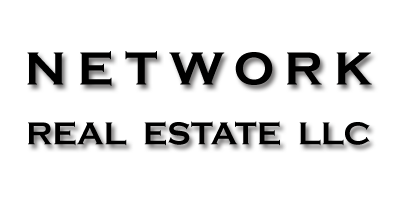 Network Real Estate LLC (NRE) was formed in 2004 by Jeffrey D. Allen. Paul Thompson joined the executive team in 2006 followed by Doug Pelletier in 2015. Collectively, the three partners have created a team of highly trained and seasoned individuals with a diverse background in the telecommunications industry. This team of professionals has conducted site acquisition and/or project management on over 2,000 telecommunication towers. Jeffrey has over 15 years telecommunication experience, and three years of this experience was with the nation’s largest wireless carrier, Cingular Wireless. Jeffrey was employed as a Senior Project Manager of Real Estate and Construction overseeing the states of Missouri, Kansas, and Illinois. Prior to working in the telecommunication industry, Jeffrey was an employee of the Missouri State Real Estate Commission and is currently a licensed Missouri real estate broker. Jeffrey received an undergraduate degree in Public Administration from Southeast Missouri State University in 1992 and a Masters in Business Administration from Lindenwood University in 2000. Since leaving Cingular Wireless in 2002, Jeffrey has worked brokering telecommunication land deals for all the major wireless carriers throughout the Midwest. Paul has over 20 years in the wireless telecommunication industry working for and with carriers in the area of Site Development. He has 10 years’ experience with the nation’s largest wireless carrier, AT&T/Cingular Wireless. Paul held critical leadership positions with AT&T/Cingular including the Director of Site Development for the Central Region (Missouri, Kansas, Arkansas, Oklahoma, and Texas). In addition to managing the development and construction of thousands of cellular sites, he lead several technology change-out projects and managed capital and expense budgets. Prior to joining Cingular, Paul was a founding member of the Executive Team that established Comtrak Technologies, LLC, an ESCO Technologies Company. Comtrak deployed a wireless RF terrestrial-based vehicle tracking system in Chicago, Illinois, and Mexico City, Mexico. Paul was responsible for all subcontracts associated with development and manufacturing the equipment as well as deployment and installation of the base station equipment at the site locations. Prior to Comtrak, Paul held various financial and procurement management positions with nationally recognized Emerson Electric Company. Doug has over 15 years in the wireless telecommunications industry. His most recent experience prior to coming on board with Network Real Estate, LLC in February of 2015 was with Black & Veatch where he spent 6 years working most recently as a Program Director responsible for sales and project execution for all Sprint related projects which included responsibility for Sprint’s Network Vision Deployment in Northern California, Chicago, Indiana and Minnesota. He also worked as a Turf Director for the MOKAN market supporting AT&T initiatives. Prior to Black & Veatch, Doug worked at AT&T for 9 years in various positions including Regional Site Development Manager where he was responsible for build outs of MO, KS, AR, OK and TX, Field Operations Manager and Procurement lead for MO and KS. Doug also worked for a division of Emerson Electric prior to joining AT&T where he worked as a Major Subcontract Manager with management responsibilities for critical suppliers to Emerson. He also held positions in Contract Administration and Financial Cost Estimating while there. Doug is a graduate of Southwest Missouri State University with a degree in General Finance.